The latest development version of sgminer 5 (source) now also includes support for the Neoscrypt crypto algorithm for mining FTC and other crypto currencies relying on it. 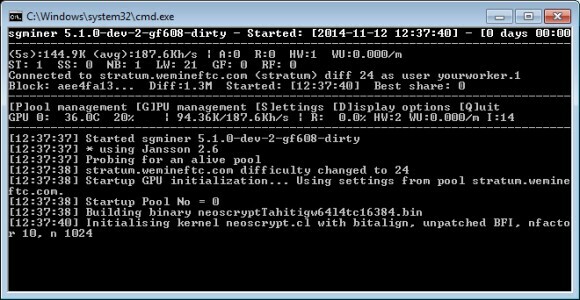 The OpenCL kernel included is the optimized version also available in the cgminer 3.7.8 with Neoscrypt that offers better performance and supports the latest AMD drivers version 14.9 (thanks to Wolf9466 Neoscrypt kernel improvements). 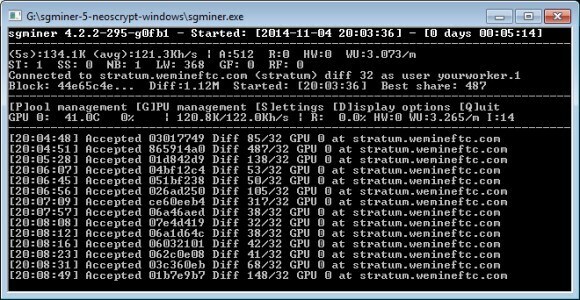 We have compiled a windows binary and you can download it below to try it out, however it seems that the performance we get with this version of sgminer is a bit lower than with the dedicated fork of cgminer 3.7.8 on AMD Radeon R9 280X, the performance on Nvidia GPUs is the same. 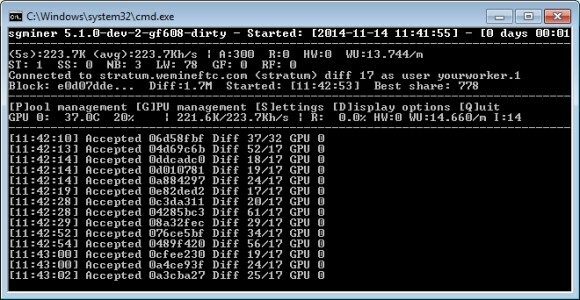 There is still no CUDA miner for Nvidia GPUS with Neoscrypt support, so if you want to mine Feathercoin with Nvidia-based GPUS such as GTX 750 or GTX 970/980 you need to use one of the OpenCL miners.